My nephew turned 15 years old yesterday. I remember the day he was born. Right here in Florida. I saw him grow up and the young man he is becoming today is one every parent, aunt, uncle, grandparents...etc is proud of. When Arvid and I met, Gabby was only 2 years old. Today Arvid is uncle Arvid to four of my nephews and five nieces. They all adore him and he loves them. There is something about Arvid that kids find hard to resist. Must be his ability to play with them, to talk to them and to just make them feel special. Gabby like all my nieces and nephews are special. I would do anything and everything for them. Not having children of my own they are my life. Looking back at the way he was to the young man he is makes me proud to be his aunt. 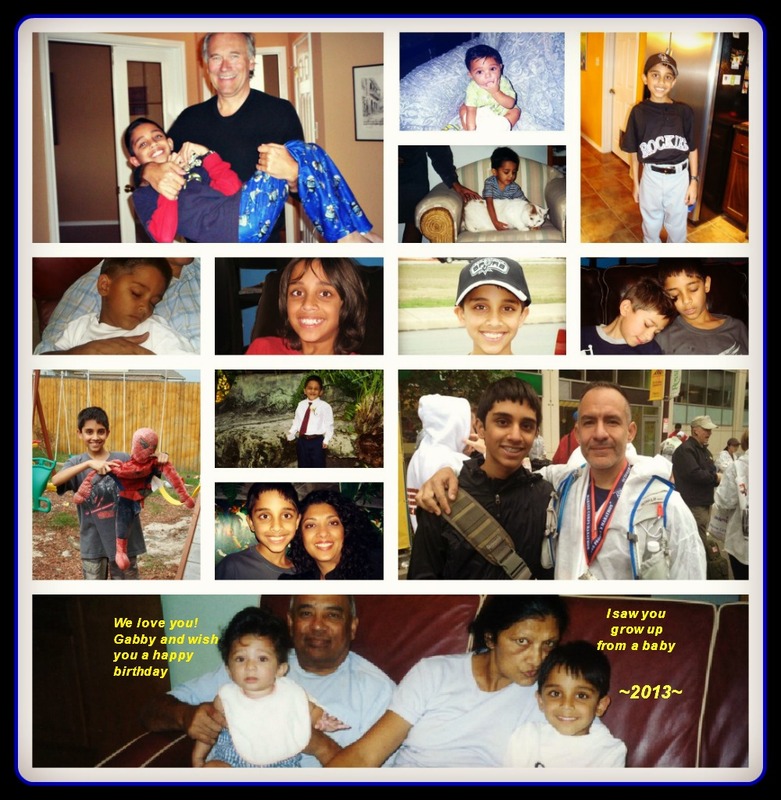 We love you Gabriel Lopez-Singh.